Augustine and History relates history to Augustine's thoughts, life, and writings in several distinct, but connected, ways. 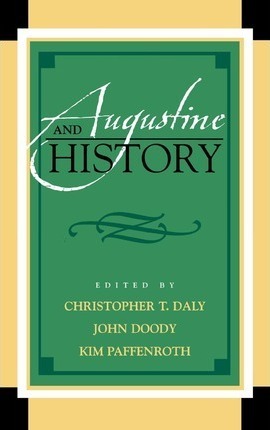 The essays place Augustine in his historical context, analyze his own theory and practice of historiography, and examine his impact on later historians and controversies. Augustine's intellect and influence are elaborated in contexts as disparate as the Fall of Rome, debates on the death penalty, and even the reactions to 9/11. This collection of scholarly essays is excellent for a wide-ranging academic audience. Christopher T. Daly is visiting assistant professor of core humanities, Villanova University. John Doody is professor of philosophy, Robert M. Birmingham endowed chair in core humanities, and director of the Villanova Center for Liberal Education, Villanova University. Kim Paffenroth is associate professor of religious studies and chair, department of religious studies, Iona College.